Entitled "Happy Mother's Day (Hiroshima Mon Amor)". 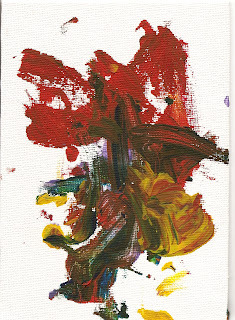 Acrylic on 5"x7" canvas; artist was aided in his choice of colours by an assistant. *I promise we will not be bombarding this site with any more of his creations, but I thought this one was quite good! !